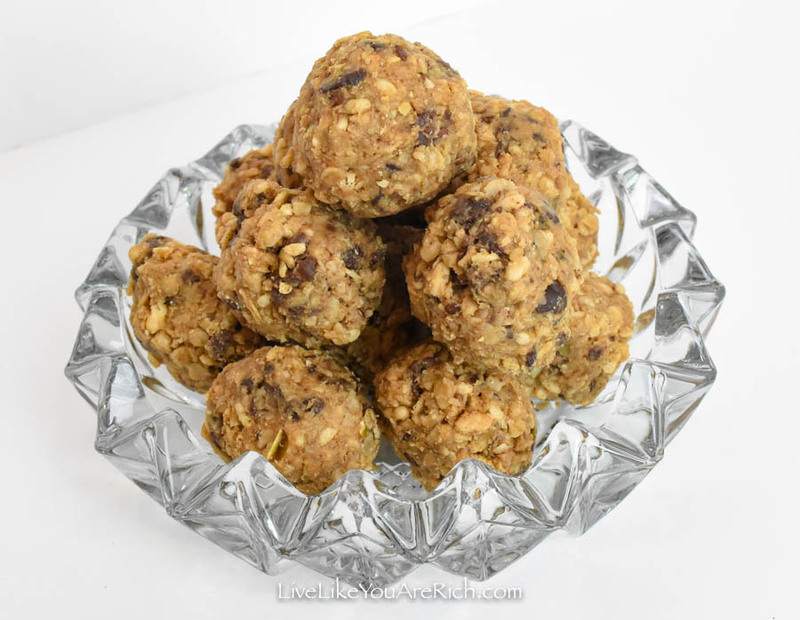 I’ve been making these super yummy No Bake Healthy Energy Bites for years. 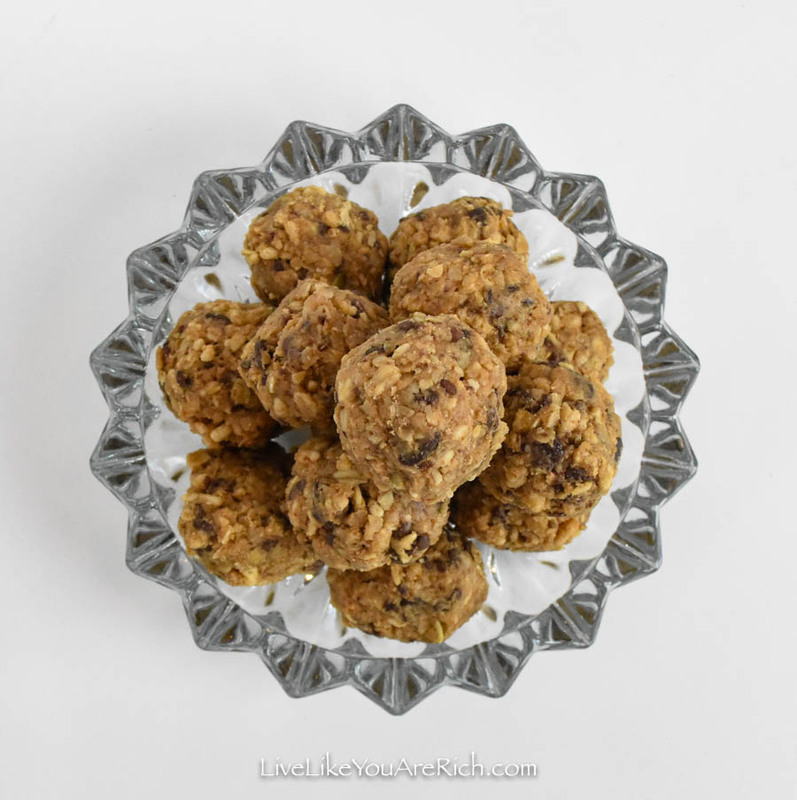 They are easy to make, they have protein and fiber and yet are sweet enough to satisfy a sugar craving. Further, they keep for months in the fridge, making them a convenient and healthier alternative to a granola bar. 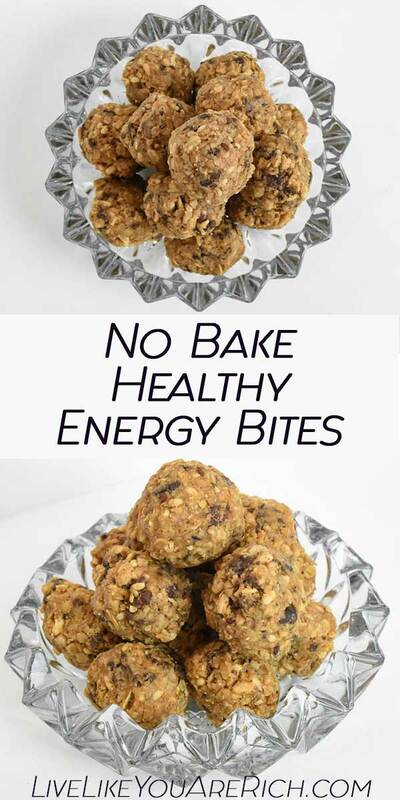 No bake healthy energy bites are a great snack for my kids and I. We grab a few when we are needing a little something to tide us over until mealtime or when we are running out the door and I realize we could get hungry soon. They also come in handy for when I’m craving something sweet. They are sweet but they also have protein and fiber and other nutrients that help prevent a blood sugar spike while still satisfying my sweet tooth. The bites really do give a good shot of energy when eaten. 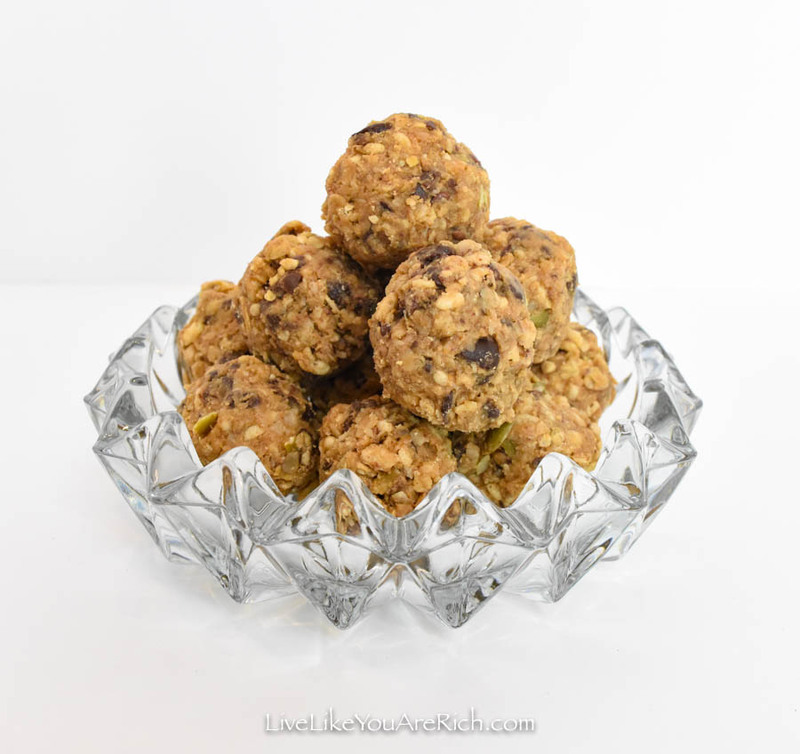 These No Bake Healthy Energy Bites are awesome for pregnancy as well. When I’m pregnant and I start to feel nauseous from an empty stomach I’ll eat one, maybe two. They help keep me full without being too full which is nice. Eating too much while pregnant makes me become nauseous again. They are a great portion size. They are also fairly quick to make. In under 30 minutes I can make 60 snacks that can last months in the fridge—if the family lets them last that long. My kids like to help make them as well. I just make sure to supervise the washing of their hands as this is a hands-on recipe! 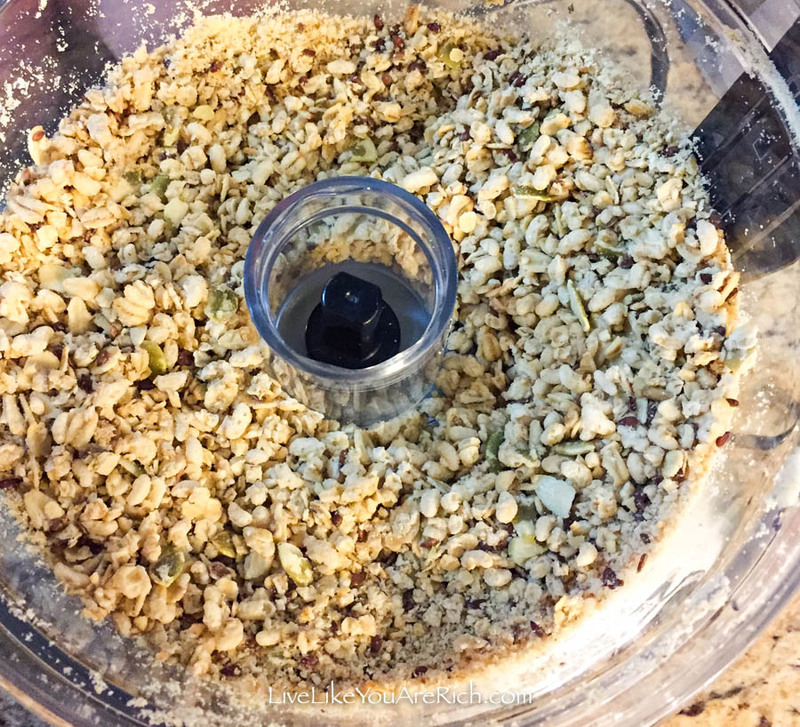 Using a food processor, pulse the granola until it is about the size and/or consistency of oatmeal. 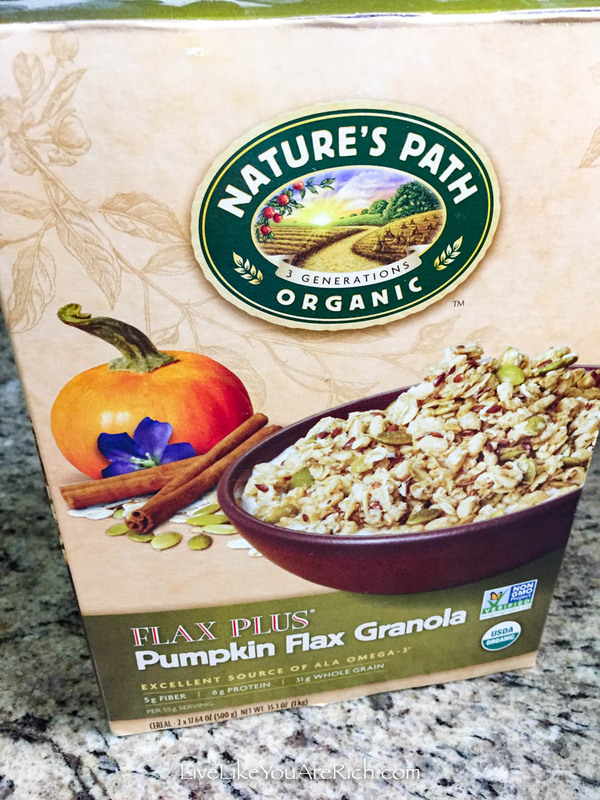 I use Nature’s Path Organic Pumpkin Flax Granola (pictured below). Poor all ingredients into a bowl and stir. Tip- Wash hands throughly and use spoon and/or hands to combine all ingredients well. Using hands roll about one heaping tablespoon of mixture into a ball and set on a cookie sheet. 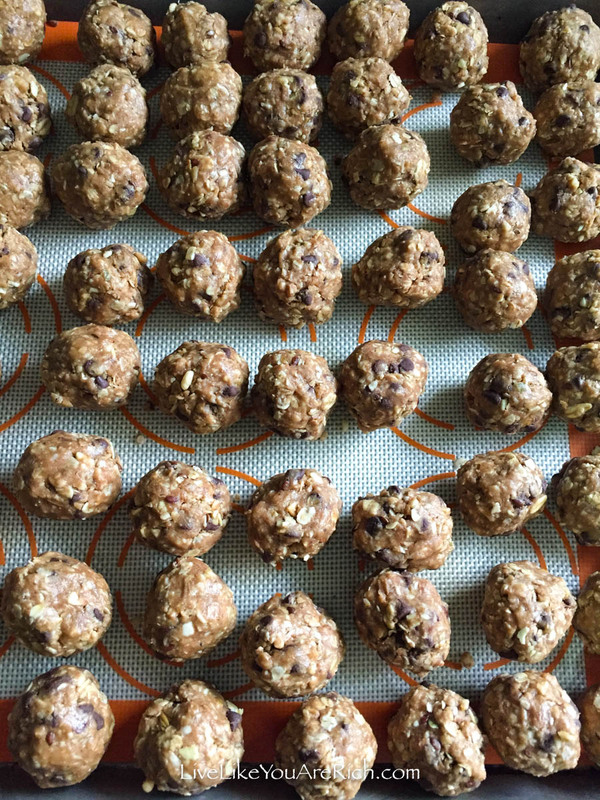 This recipe makes about 60 energy bites. You can eat them immediately or chill them first. I like to refrigerate them before eating. Leftovers keep in a Ziploc plastic bag in the fridge for about 2 months. 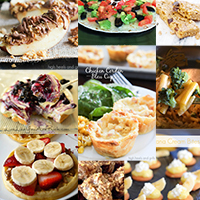 These are a great option to bring to a potluck, brunch, dessert bar, etc. Everywhere I’ve taken them to share, people really like them and ask for the recipe. 2 Cups semi sweet mini morsels You can use regular sized chocolate chips too—I just prefer the mini, they mix in better. To make these already-delicious-bites taste even better, you could chop up Lindt swiss chocolate into small pieces. To make the recipe even healthier use dark chocolate. 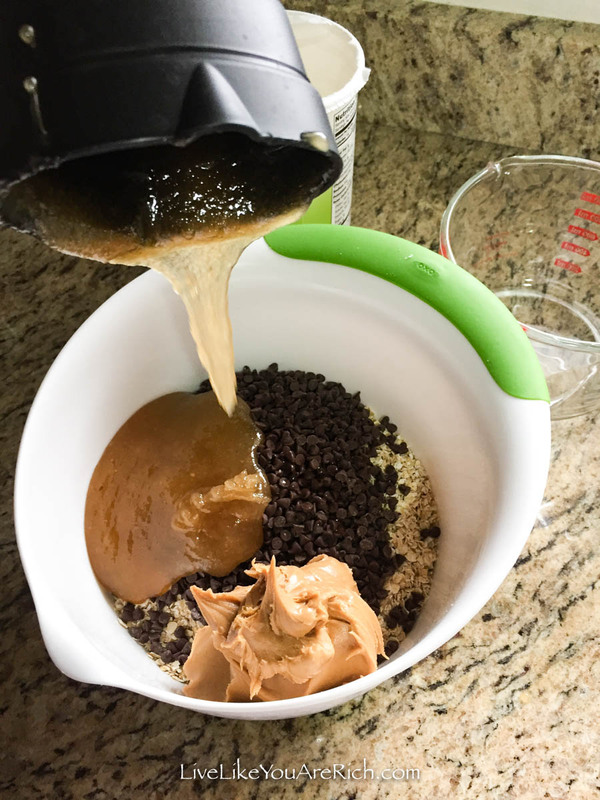 2 Cups peanut butter (creamy or chunky based on your preference—I use creamy). Note- I use no sugar added pre-stirred peanut butter. However, if you use Skippy or Jiffy etc. (with sugar added) eliminate 1/4 C honey— unless you like very sweet things. 2 Cups peanut butter (creamy or chunky based on your preference—I use creamy). Note- I use no sugar added peanut butter. However, if you use Skippy or Jiffy etc. (with sugar added) eliminate ¼ C honey— unless you like very sweet things. Eat immediately. Refrigerate leftovers. Leftovers keep in a ziploc plastic bag in fridge for 2 months.